When we bought our house, one of the things we loved was the fireplace, but we weren’t in love with the brass trim on the fireplace doors. Well, I finally got around to changing that and it didn’t cost a lot to do. 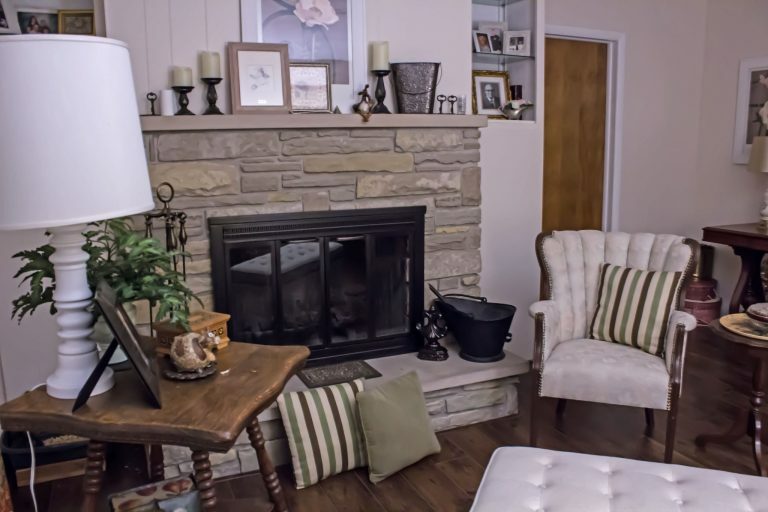 I think the fireplace was one of the main reasons we fell in love with our house. We both loved the romantic idea of having a fireplace. (The fact that we still haven’t built a fire in it not withstanding.) Some people might have wanted to to change the stone, but we loved the way it looked. We loved the color of the stone. The only thing we didn’t love was the brass trim on the fireplace doors. 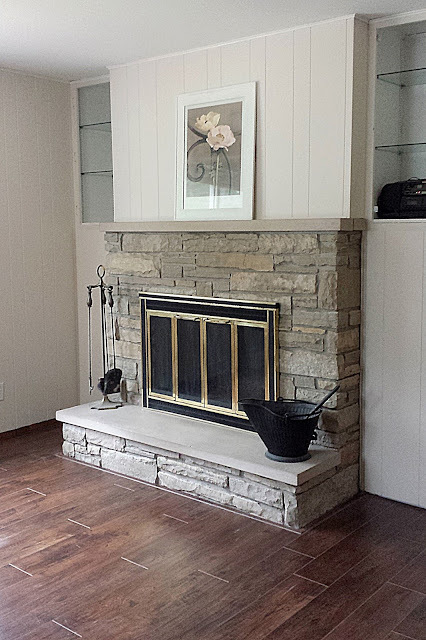 This how the fireplace looked when we got possession of our house. As you can see, the fireplace looked very dated with the dark paneling and the black and brass fireplace doors. I took care of the paneling right away by painting it a Pantone color called White Asparagus. 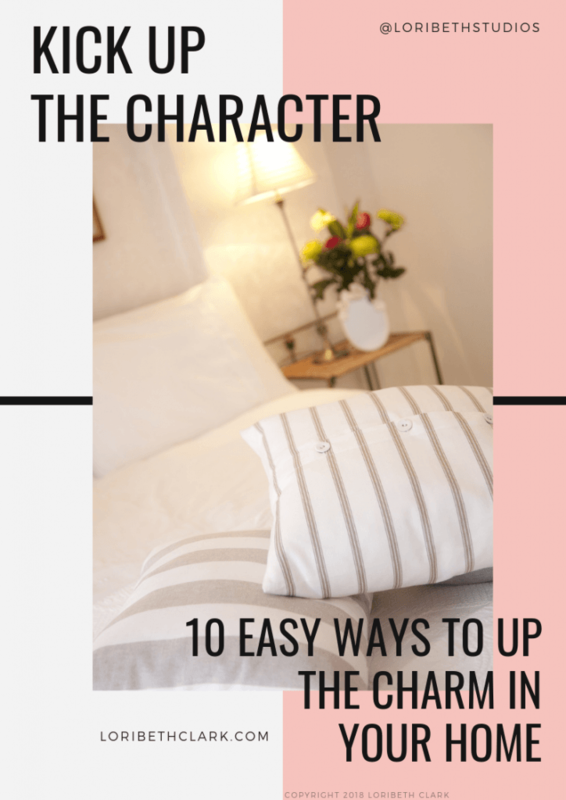 I’ve used that color on other projects, and it’s just a wonderful creamy color. Unfortunately, it has to be special mixed now. 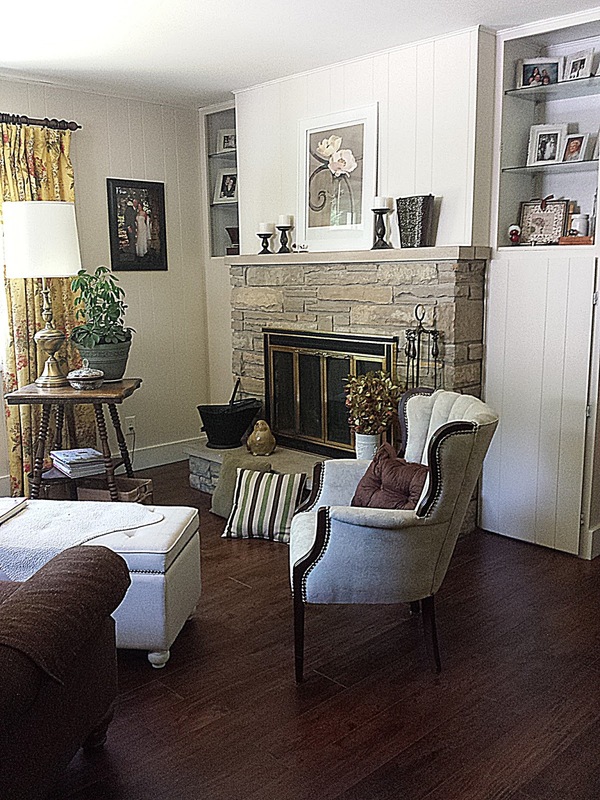 Painting the paneling and replacing the carpet made a big difference. Painting the walls and replacing the carpet made a huge difference. 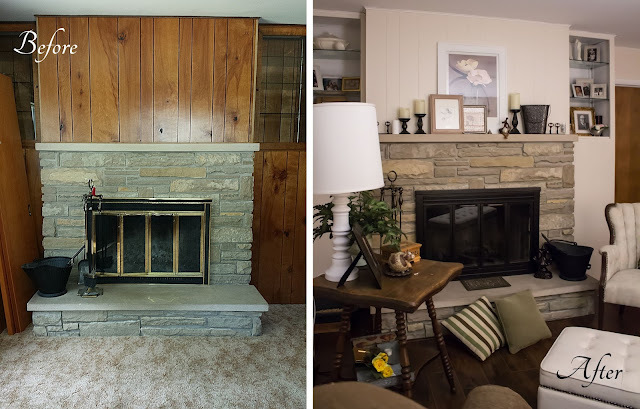 Suddenly, the fireplace didn’t look as dated… well, except for those ugly fireplace doors. Other than those doors, all the room need was a few accessories and some furniture to make it beautiful. The doors wouldn’t stand out so much once the room was decorated. Accessories helped take the attention off the doors. See what I mean. Heck, with the vintage brass lamps, the fireplace doors became a bit of a design feature. Okay, maybe I’m stretching it there, but they didn’t bother me as much. So although the sitting room was my favorite room to curl up and read in, it still needed to have the fireplace doors updated. The problem was custom fireplace doors are expensive, and that’s what this fireplace would need. This helped me imagine what the fireplace COULD look like. I created a GIF to try to convince Jim that new fireplace doors was the way to go, but the truth was new doors were not high on the priority list when there were more important things like insulating the house, a new roof and new siding that needed to be done first. So I resigned myself to ugly doors for a while longer. Using some high temperature paint to update the look. That’s when I discovered high temperature paint! I did some research and there were quite a few DIYers out there who had painted their fireplace doors with much success. Replacing the doors wasn’t going to be in the budget any time soon, but a quart of paint was doable right away! So I bought some paint and got started. I removed the doors to make painting everything easier. It took two coats of paint, even though the can said one. The brass handles remained until I could replace them. One of the things I didn’t paint were the handles. I decided to replace those. They were just a little too modern looking for the country French look I wanted. So they remained brass until I found handles that I liked. But even with the brass handles, the fireplace looked a hundred times better than it did before. 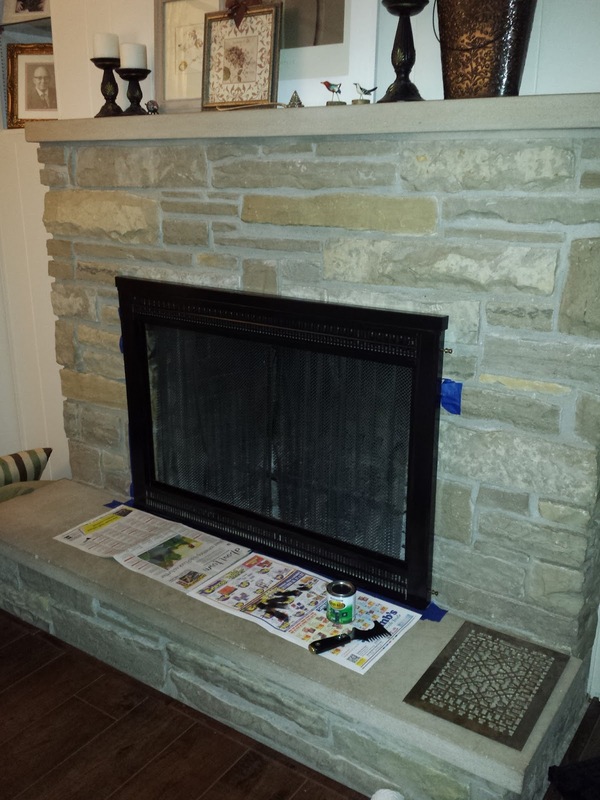 All in all, the whole process of painting the fireplace doors was pretty easy. 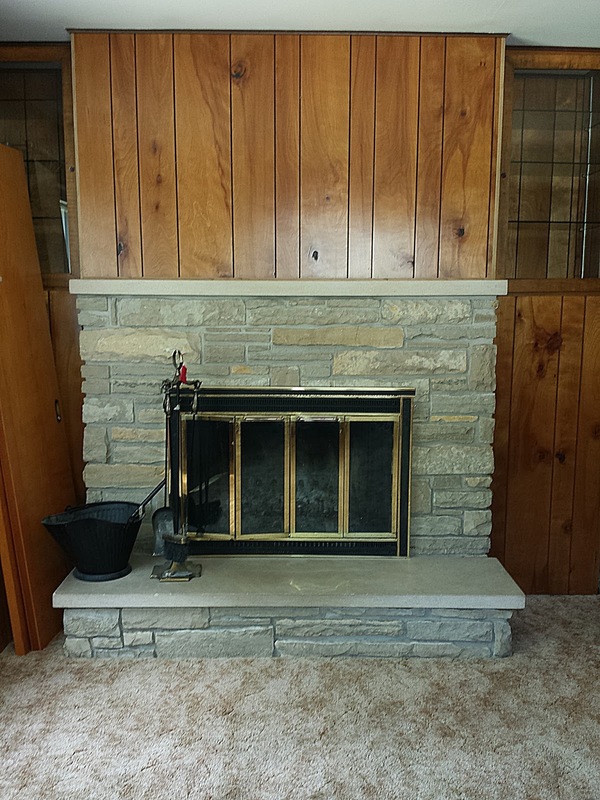 I’d recommend it to anyone who wants to update their fireplace inexpensively. Maybe someday in the future, we might upgrade the doors with custom ones that actually fit in the fireplace the way they should so the keystone will show. But for now, I’m really happy with how the fireplace turned out. New handles installed, and it looks brand new. To me, it looks like it has brand new fireplace doors! What do you think? Would you try painting your fireplace doors?